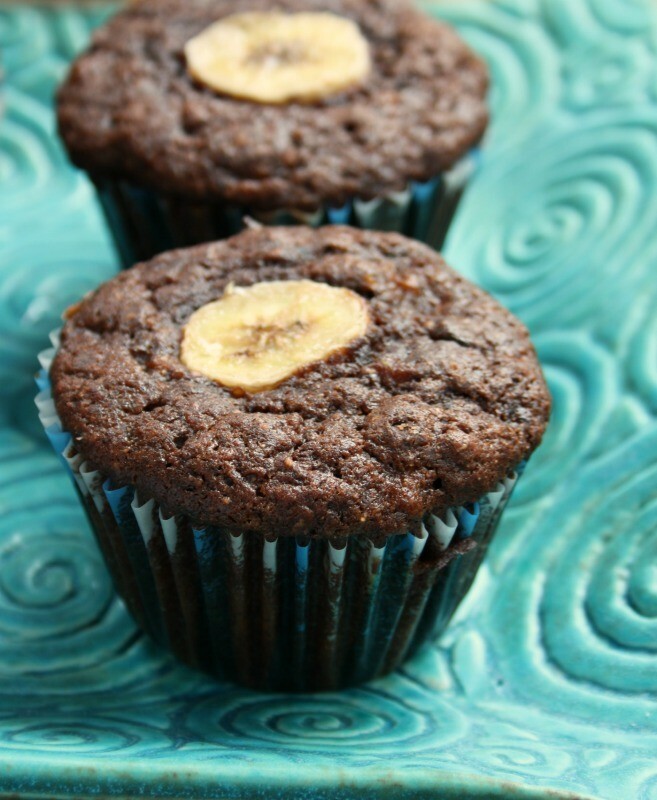 Bananas, applesauce and molasses help to keep these gluten-free banana flax muffins moist and not crumbly. I don’t do a tonne of gluten-free baking but I have been chipping away at these sorts of recipes over the past few year. Through trial and error I have learned a lot – mostly from readers who have chimed in with terrific advice each time I post something new. Through my experimenting I have learned that with gluten-free baking, fruit puree is your friend. 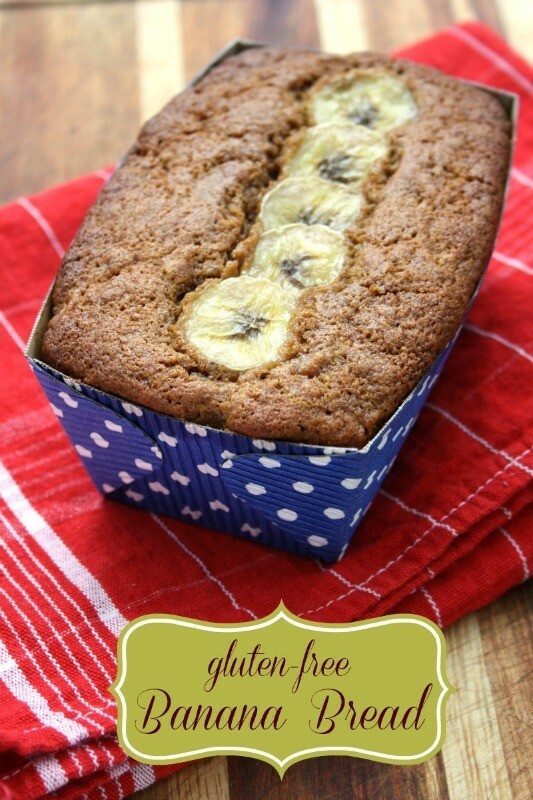 It helps to keep gluten-free baked goods moist and tender. 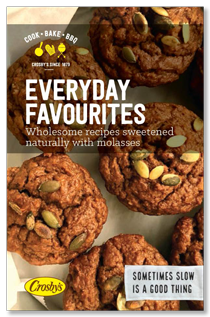 Molasses has the same effect so I have had great success with my gluten-free baked goods that combine the two. 4 cups fine brown rice flour, 1 1/3 cups potato starch (not potato flour), 2/3 cup tapioca flour. Whisk together and store in an airtight container. This blend lasts well when stored in a dry cupboard. 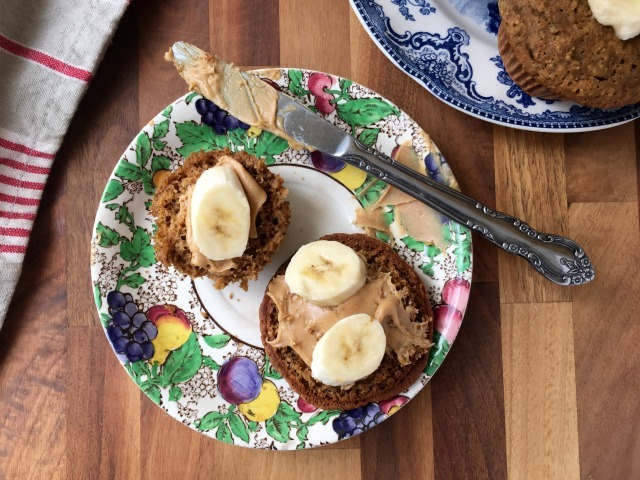 This recipe for gluten-free banana flax muffins is an adaptation of my favourite recipe for whole wheat banana flax muffins. *Can reduce sugar to 1/3 cup. Preheat oven to 325 F and prepare muffin pans. Mash bananas with sugar. Whisk in egg then molasses, oil and apple sauce. In a separate bowl whisk flour with baking soda, xanthan gum, salt and ground flax. Add dry ingredients to banana mixture and mix gently until almost combined. You can never have too many recipes for blueberry muffins. I consider muffins the perfect snack food. 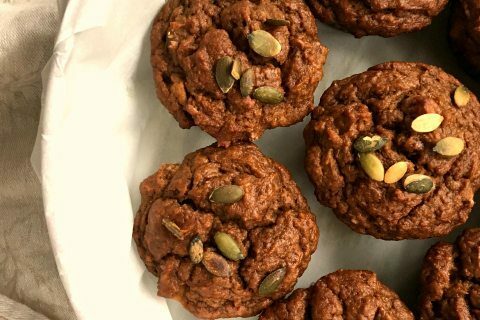 They’re satisfying, not too sweet and can be filled with all sorts of healthy things. They suit breakfast, can be eaten with a slice of cheese at lunch or smeared with peanut butter for an after school snack. This Whole wheat blueberry muffins recipe is and updated version of an old Crosby’s recipe. 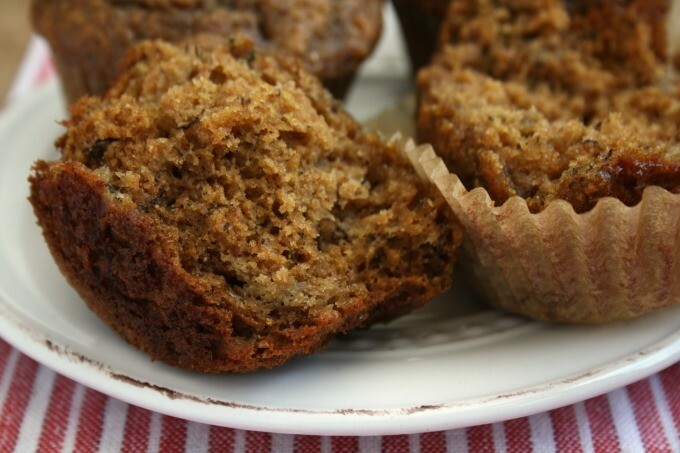 I simply swapped in some whole wheat flour and reduced the sugar. 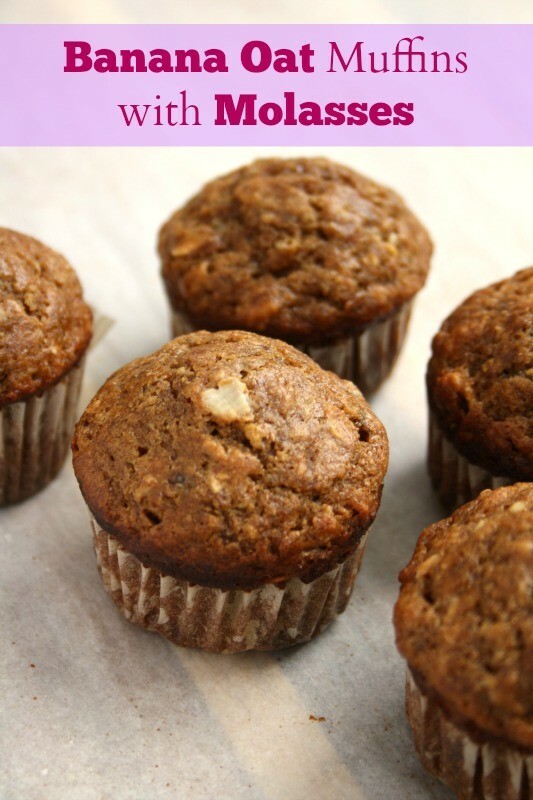 You can make these muffins a little richer by using whole milk, although I have always used 1% milk. I almost always make them with frozen blueberries too. I love to bake muffins for my kids’ lunches but they really prefer to eat muffins as an after school snack, which is fine by me. When they storm into the house starving, these are an easy target. 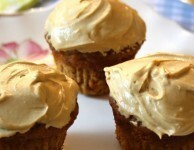 They’re wholesome, quick and taste great smeared with peanut butter. As you’ll see, this recipe makes about 14 muffins. I use ramekins for the extra batter. In a medium bowl, whisk together liquid ingredients. In a large bowl whisk dry ingredients. Add liquid mixture to dry ingredients and stir gently 2-3 times. Pour into muffin cups and fill to the top. Bake at once until golden brown, about 20 minutes. 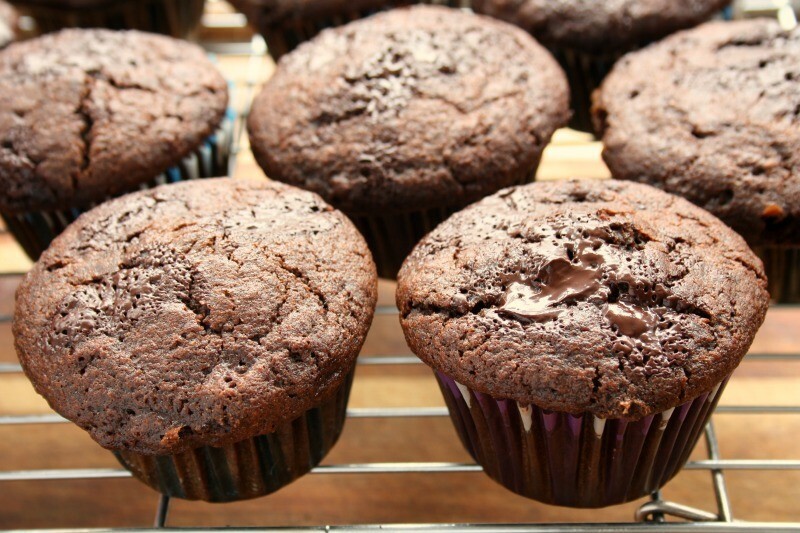 Let muffins rest in the pan for about 10 minutes before removing them from the pan to finish cooling. 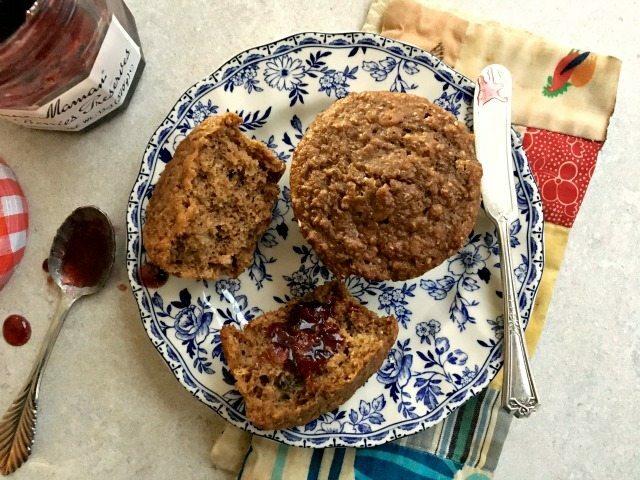 Chia Bran Muffins are a light-textured classic made better (in a healthy sort of way) with the addition of chia. I’m very good at buying super healthy foods. But then they often sit in my cupboard, or at the back of the fridge, out of sight and out of mind. I have a package of chia that has been in my cupboard for ages. I stir a spoonful into my porridge from time to time but that’s about it. I never did get into chia pudding (I’m not wild about the texture) so my progress through the package has been slow. 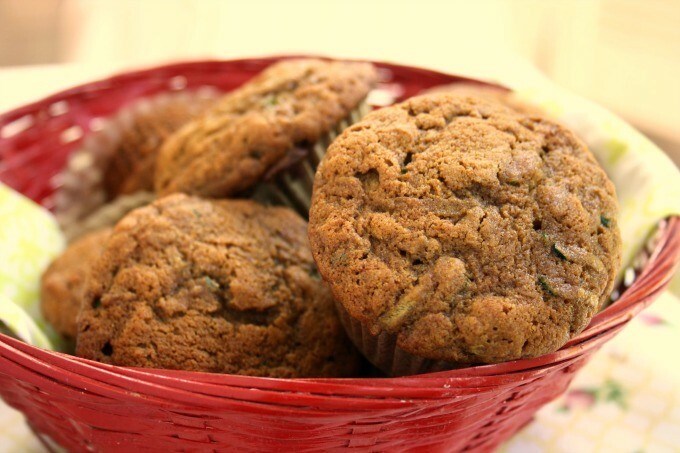 That’s why this recipe for chia bran muffins caught my eye. It’s a classic bran muffin recipe. 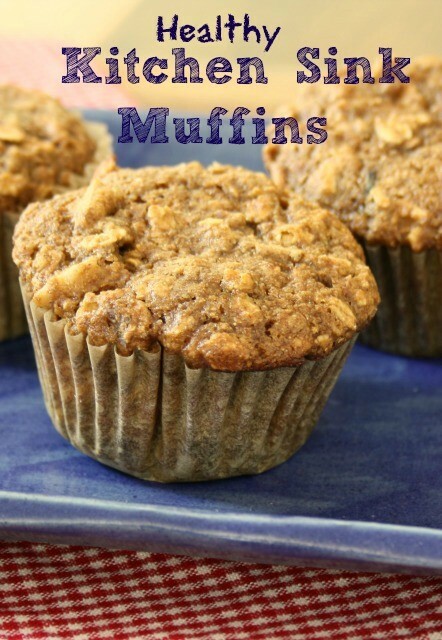 Made with natural bran and buttermilk so the muffins have a lovely light texture. The recipe gets extra nutrition from a few tablespoons of chia seeds. 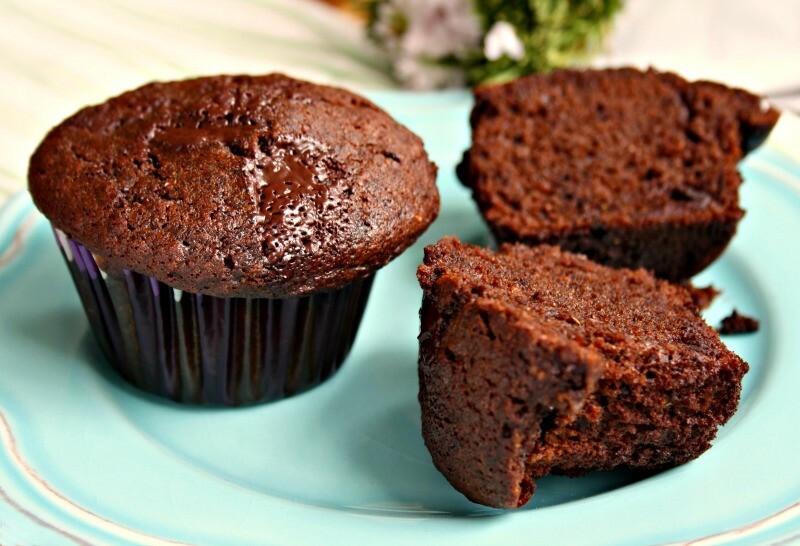 These muffins are low in fat and have no refined sugar. It goes to show that making our favourite foods a little more healthy is easier than you think. The recipe is slightly adapted from New York Times Food. Place the raisins in a medium bowl and pour over the boiling water. Let sit 5 minutes, then stir in the bran and the chia. Let sit for 10 minutes. In a large bowl whisk together the flours, baking powder, baking soda and salt. In another bowl, beat the eggs, oil and molasses. Whisk in the buttermilk and vanilla. Stir in the raisin and bran mixture and combine well. Fold in the flour mixture and combine well. (Batter can be refrigerated overnight). Preheat the oven to 375 F. Prepare muffin pans. 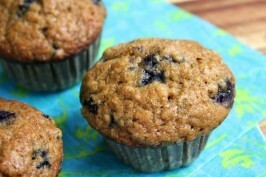 Fill muffin cups and bake for 25 to 35 minutes, until the muffin tops feel firm to the touch and are puffed and browned. Let cool in the pan for a few minutes before removing to a rack to cool completely. 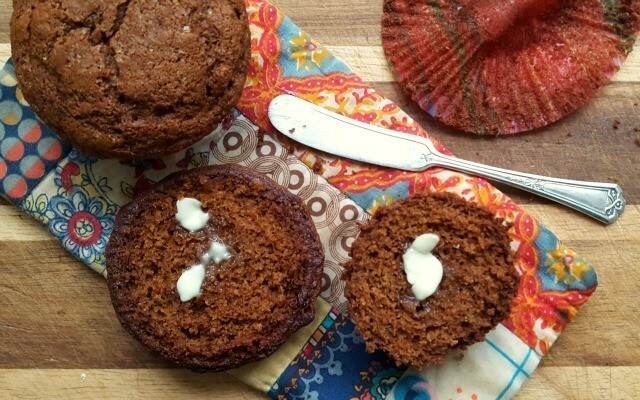 Buttermilk Gingerbread Muffins a wholesome winter snack. Winter arrived to Southern New Brunswick with gusto this week. Two storms in three days means that we finally have snow cover, and although a little late, it’s beginning to look a lot like Christmas. Last night began a whole new round of holiday celebrating with the arrival of family from out of town. We enjoyed a long evening around my mom’s enormous table, chatting and laughing and planning tonight’s big family gathering. In the midst of all the parties and rich food I have been craving something simple to snack on. Something flavourful and wholesome to go along with the Gingerbread Lattes that I can’t seem to stop drinking. 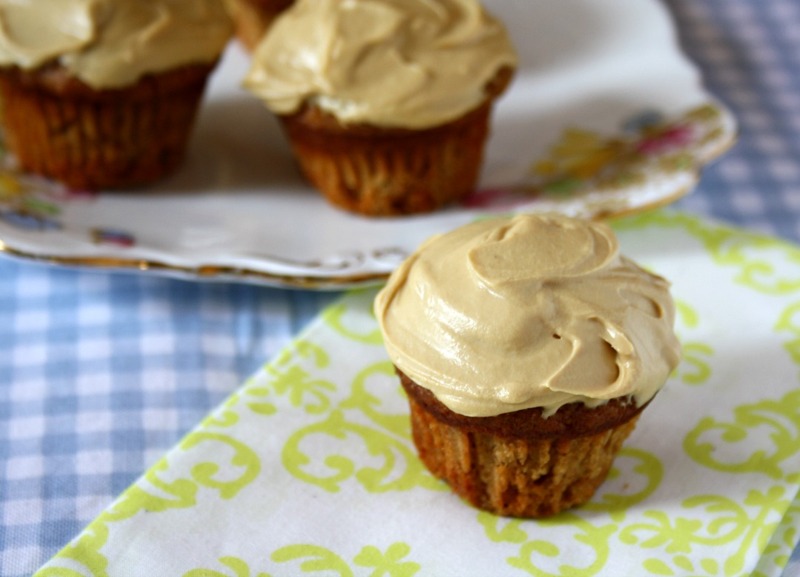 That’s why this recipe for Buttermilk Gingerbread Muffins caught my eye. 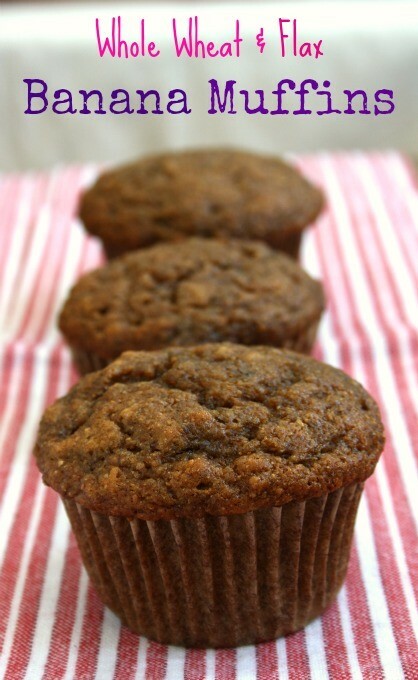 Made with whole wheat flour, buttermilk gingerbread muffins remind me of a lightly textured bran muffin. They’re not too sweet and have a great ginger kick. The ginger isn’t over powering though so don’t be tempted to scale it back. The overall spice balance is great. Preheat oven to 375. Prepare muffin pan. In a large bowl, whisk flours with sugar, baking soda, spices and salt. In another bowl, lightly beat the egg then whisk in the oil and molasses. When well combined whisk in the buttermilk. Make a well in the dry ingredients and pour in the egg mixture. Stir gently until just combined taking care not to overmix. Spoon into prepared pan. Sprinkle with coarse sugar, if using. Bake for 15-20 minutes until the tops spring back when lightly touched. Best eaten within a couple of days. Can be frozen up to three months. Somehow, two days before we headed away on March Break, we ended up with two bunches of bananas in the fruit bowl. We go through bananas quickly in our house so they rarely have a chance to get nice and ripe. I considered the extra bananas a bonus, stuffed them all in the fridge as we ran out the door, and enjoyed a very merry, storm filled, flight delayed, family-filled holiday. Normally I’d peel and freeze excess bananas but I was out of time and this bunch was barely ripe so as it turned out the fridge was a good holding place. When we got home I peeled and froze them all and then set about digging up a few family favourite recipes. 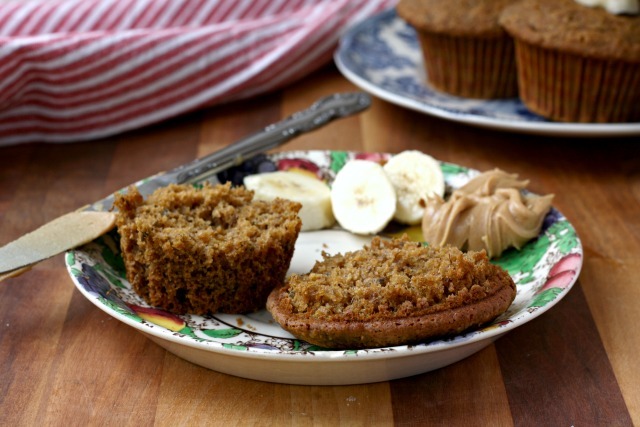 For years I have been making a banana muffin recipe from one of the Silver Palate cookbooks. The book was a gift from my mom and when I got my copy I went through hers and transposed all of her recipe notes to mine. This was one of the recipes she had a checkmark beside. I know this is an excellent recipe because my daughter’s friend “M”, who is notoriously difficult to feed, loves them. Sometimes I can’t help but tinker with recipes, even the great ones. I don’t necessarily tinker to improve, this s a case of tinkering to create something a little different. 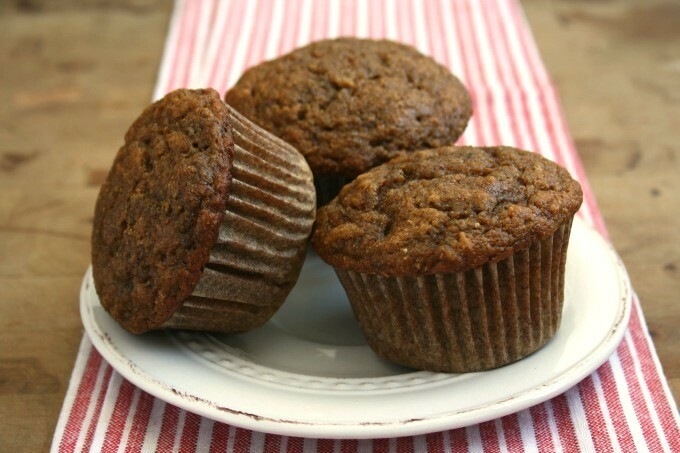 To turn these into whole wheat banana flax muffins I added molasses, reduced the refined sugar, added a bit of flax meal, used whole grain flour and reduced the vanilla a little bit to create a healthier version of the muffin. *Feel free to reduce the sugar to 1/3 cup. 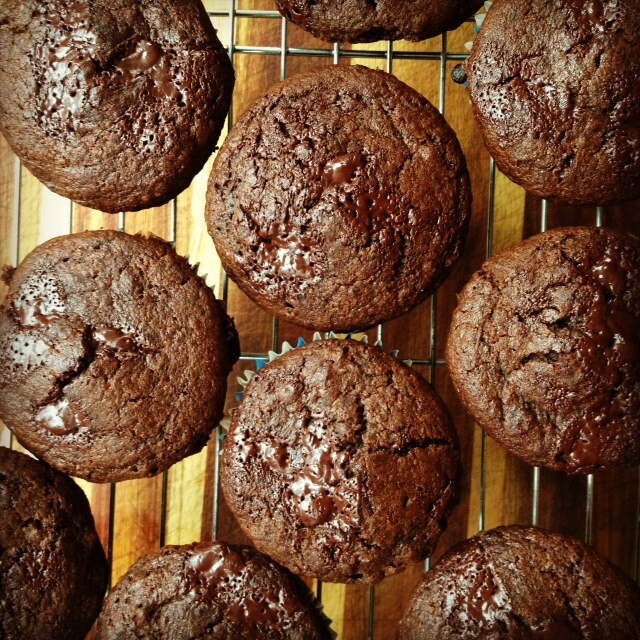 (One reader wrote to tell me she forgot the sugar entirely and they were still delicious). In a separate bowl whisk flours with baking soda, salt and flax. Stir in buttermilk and vanilla taking care not to overmix. I felt a tiny ping of hurt inside and then I laughed because how ironic is that? It’s like the lobsterman’s kids hating lobster. Is this the challenge of home cooks everywhere? So many baked goods around that all those packaged cookies look iresistible. I get it. I remember craving those maple sandwich cookies when I was little, and grocery store pound cake always felt like a treat. But homemade was always my favourite. Even at a young age my palate was tuned to the difference between homemade and processed. 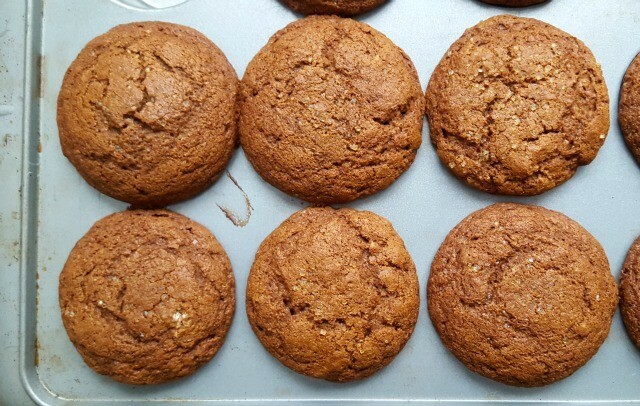 It took my son about three days to come around and now he’s back to devouring everything in sight, including these whole wheat molasses zucchini muffins. They have the greatest texture thanks to the oil (instead of butter) and they’re moist and beautifully spiced. The molasses-honey pairing is brilliant. Great for texture and flavour balance. In a medium bowl whisk the oil with the honey and molasses. Whisk in the eggs and vanilla. Stir in the zucchini. In a large bowl whisk the two flours, baking soda and baking powder, salt and spices. I love and lament the arrival of blueberries. Blueberries are one of my favourite fruits but they appear as summer is winding down and back-to-school is closing in. Still, there’s something thrilling about stuffing my freezer with these blue beauties – so I can savour August all year long. The blueberries are plentiful along the trails near our home where we often walk. We usually stop to nibble for a bit and even our dog used to “pick” a few once we guided her nose to the fruit on the stem. I lack patience for picking though so the berries we freeze come from local markets. Wild-grown New Brunswick blueberries are my favourite and although I have seen bags of frozen blueberries in the big grocery stores that are labeled “wild” they just don’t taste the same. 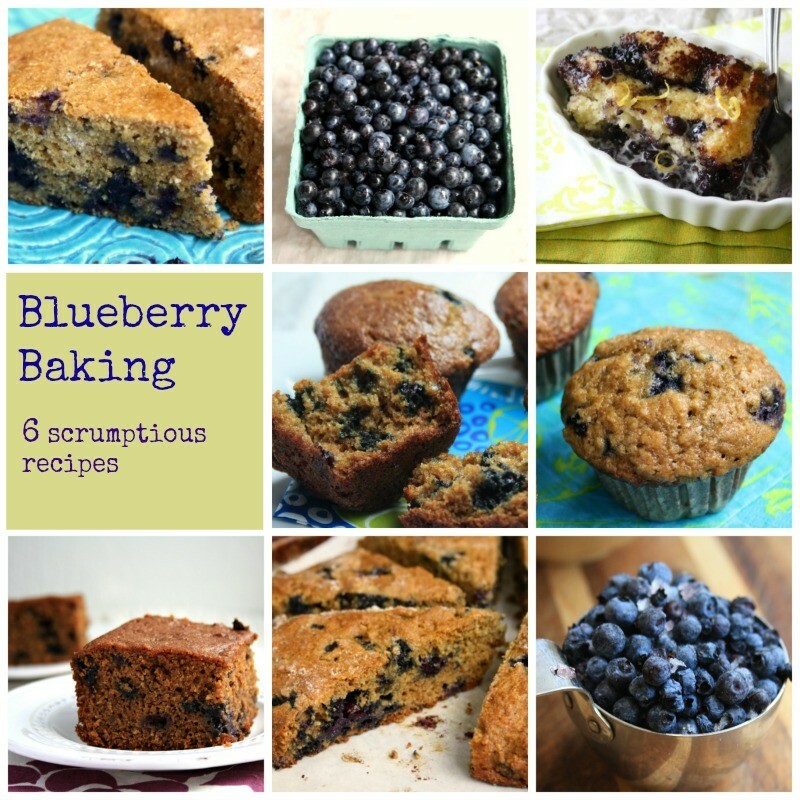 Most of our blueberries go into morning smoothies but there is never a shortage for baking. 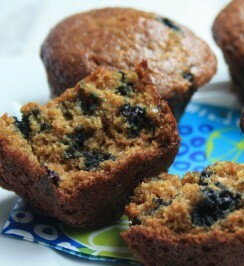 I’m happy to throw blueberries into just about anything that I bake. 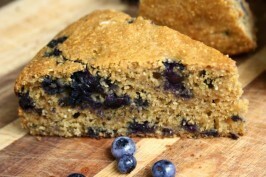 Blueberry Cornbread – A deliciously moist cornbread dotted with plump blueberries and lightly sweetened with molasses. Perfect with breakfast, for snacking or dessert. Blueberry Peach Cobbler (Pudding Cake) – A warm and comforting cobbler that combines some of the best fruit of summer – blueberries and peaches. 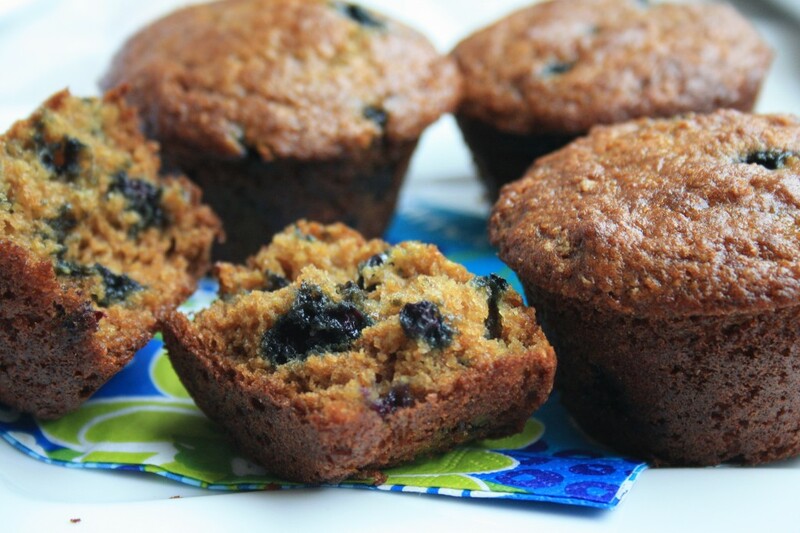 Blueberry Wheat Germ Muffins – A light textured muffin made with yogurt. Extra healthy and nutty flavoured thanks to the wheat germ. 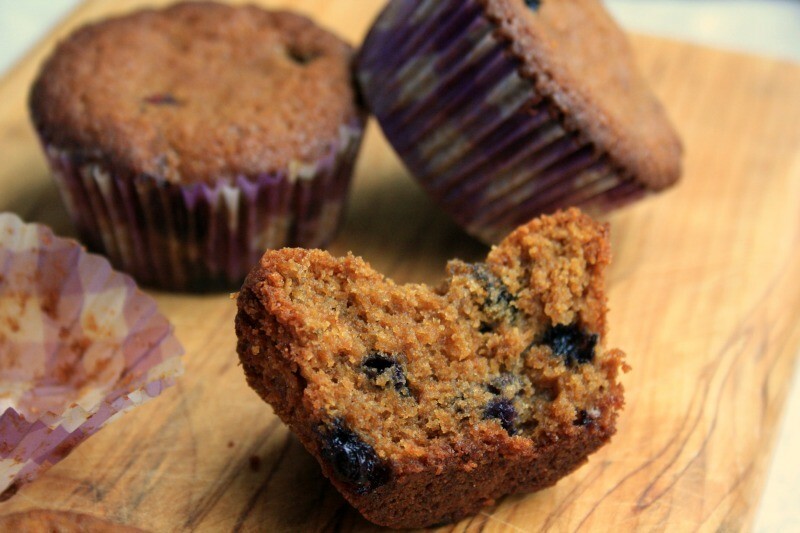 Best Blueberry Muffins – My favourite blueberry muffin recipe that’s ever adaptable. The recipe includes 10 flavour variations, all delicious. 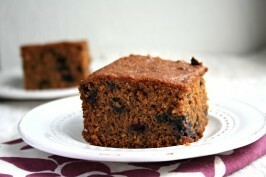 Blueberry Flax Gingerbread – This is a great snacking cake made healthier with the addition of ground flaxseed. 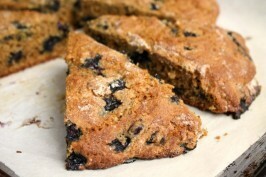 Blueberry Molasses Scones – One of the most beautifully textured scones that I have ever made. 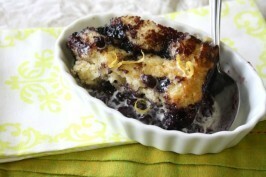 A great way to showcase the perfect flavour pairing of blueberries and molasses. 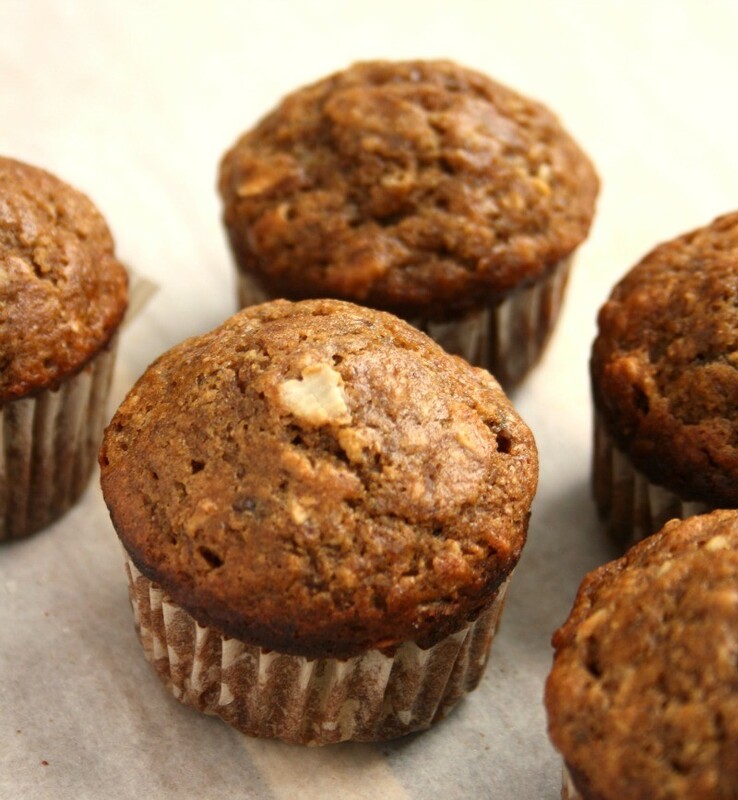 If you’re aiming for healthier muffins — lower in fat and less sweet – this is a recipe you’ll enjoy. I still have one foot firmly planted in summer but I have to admit that the other foot is dragging itself towards the first week of September and the back-to-school rush. Early mornings, lunch packing and homework. Whether you have kids in school or not, September brings us all back to some sort of routine. 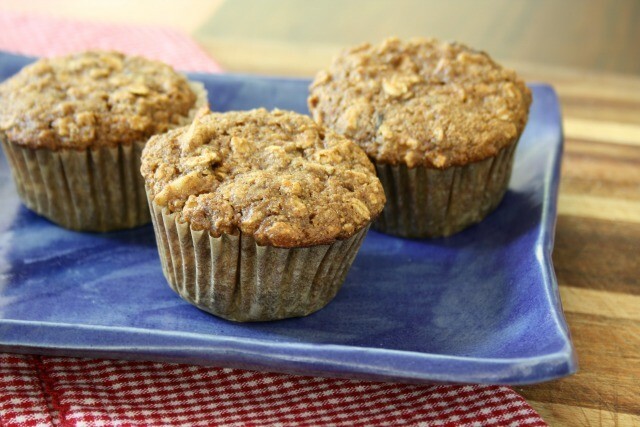 Apple Chai Muffins make a great lunchbox treat. 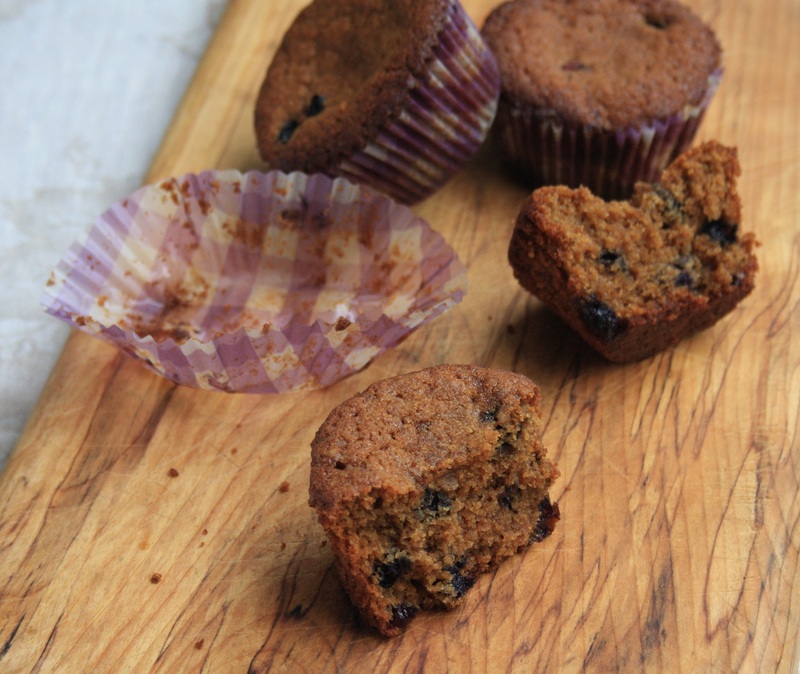 September for me means muffins cooling on the counter, stockpiled for school lunches and after school snacks. 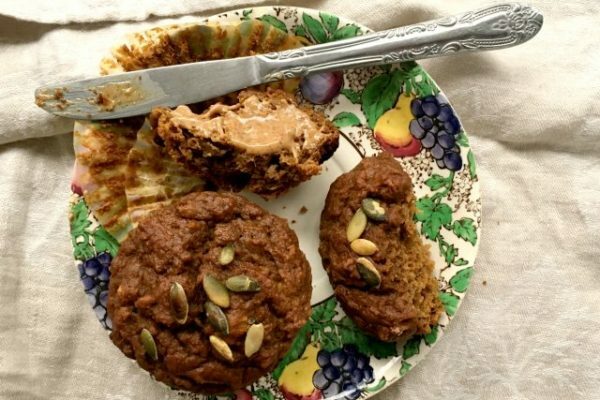 If you’re aiming for healthier muffins — lower in fat and less sweet – this is a recipe you’ll enjoy. 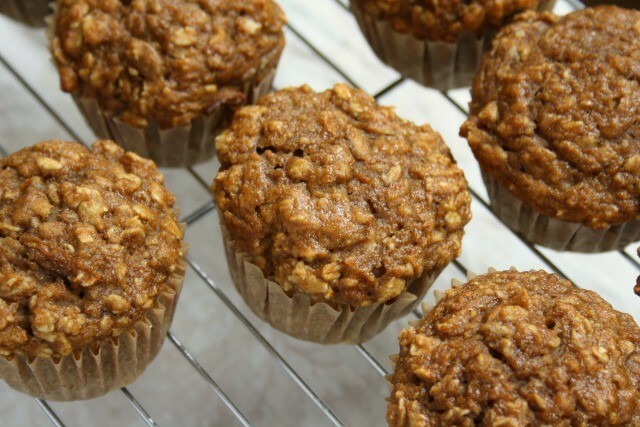 Rolled oats give them lots of texture and apple keeps them moist. Feel free to add a few chocolate chips (about 3/4 cup) if you’d like to turn them into more of a chocolate chai muffin. Preheat oven to 400 F and prepare 12 muffin cups. In a large bowl, combine flour, oats, baking powder, baking soda, salt and spices. In a medium bowl, combine milk and cider vinegar and let sit for a few minutes. Stir in applesauce, grated apple, molasses, egg and vanilla. Add wet to dry and mix very gently. Divide mixture among 12 prepared muffin cups and bake for about 20 minutes. That’s how good it is. Moist and lightly textured it tastes just like a muffin should. Even better, we’re sharing 10 ways to make it your own. 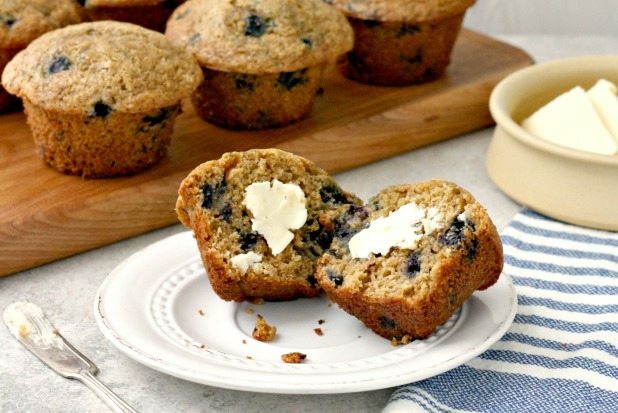 This basic blueberry muffin recipe lends itself to endless variations — from adding lemon zest and ginger to substituting whole grain flour or reducing the sugar. 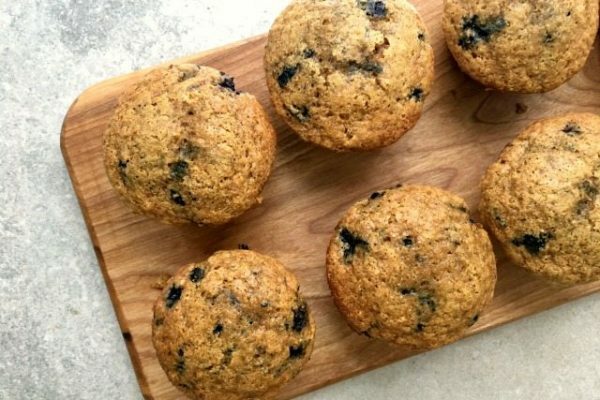 The muffins are delicious when made just as the recipe is written but if you like to make blueberry muffins often it’s great to have options to shake it up a bit. Who knows, you might discover a variation that becomes your new family favourite. Below are 10 suggested variations to make this excellent recipe your own. So go ahead, experiment, and let me know in the comments what other tasty ideas you come up with. Add the zest of half a lemon and a pinch of ginger to the dry ingredients before mixing. Swap out half of the flour with whole wheat pastry flour, regular whole wheat flour or spelt flour. 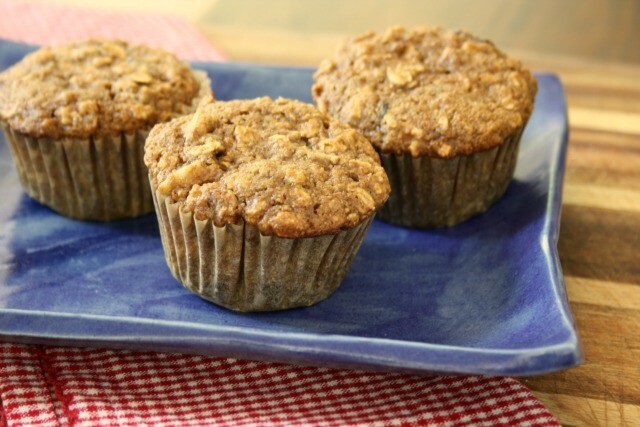 Reduce the sugar to 2/3 cup (or even 1/2 cup) if you prefer your muffins less sweet. Add 1/4 to 1/3 cup chopped crystalized ginger to the batter. Swap melted butter for 2 Tbsp. of the oil to add a little richness to the taste. Add 2 Tbsp. poppy seeds and the zest of an orange. 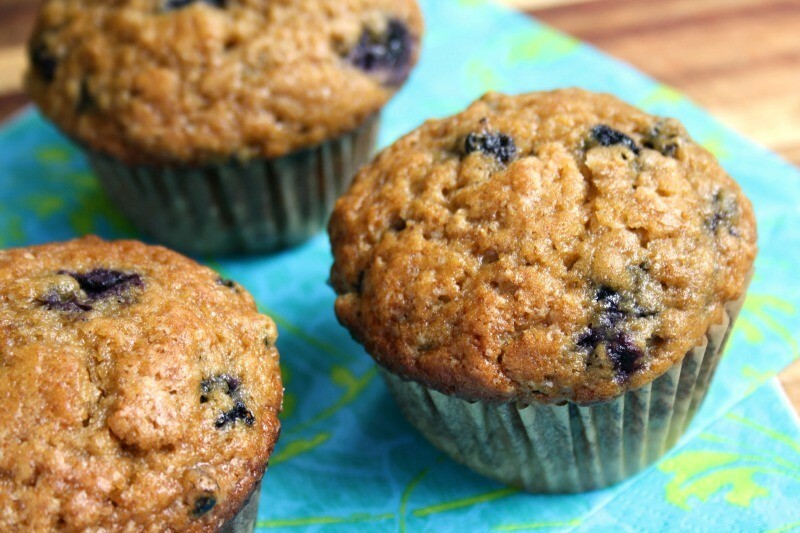 Add half raspberries and half blueberries for berry blast muffins. 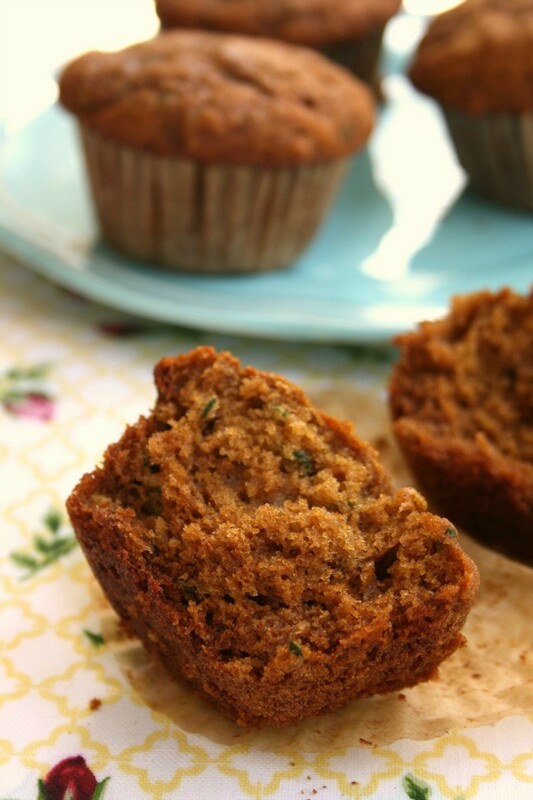 Substitute 1/4 ground flax seed, oat bran or wheat germ for 1/4 cup of the flour. Preheat oven to 400°F and line muffin tins with papers. In a medium bowl whisk together liquid ingredients. Add liquid mixture to dry ingredients and stir gently 2-3 times. Add the berries and mix just until the flour is moistened. 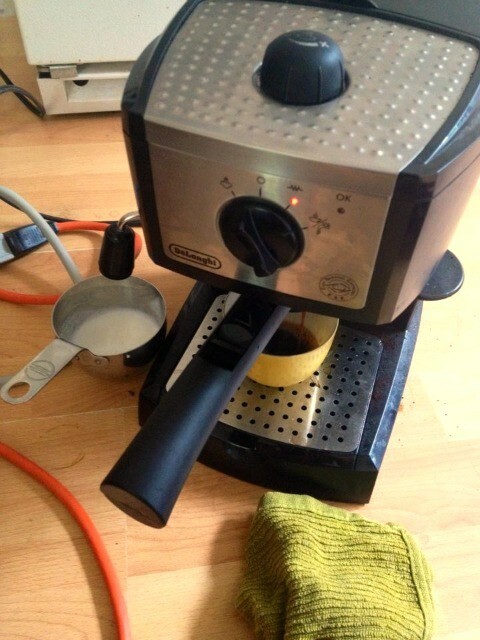 (Mixing should be held to a minimum – a light stirring for 10 to 20 seconds. Batter will be lumpy and will break into coarse globs. 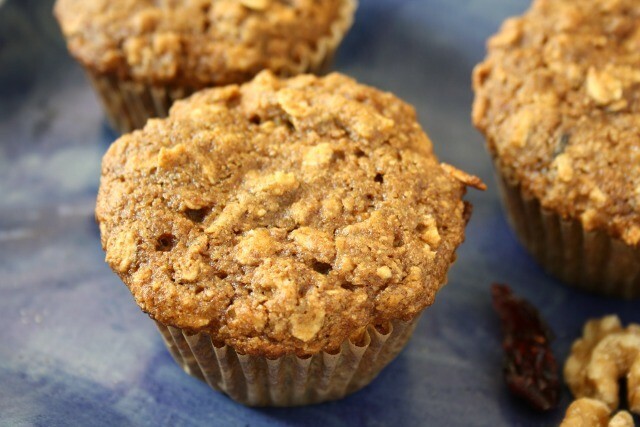 With rolled oats, banana, flax, apple sauce, dried cranberries, walnuts and molasses, these healthy kitchen sink muffins they are extra tasty and have great texture. Little house. Big trees. 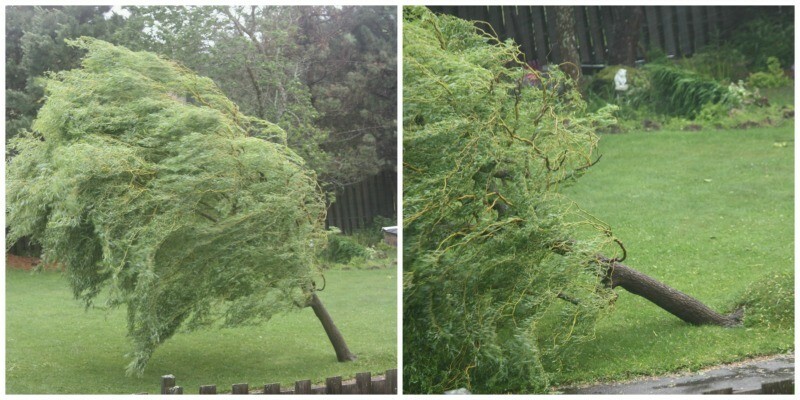 100 km/h wind gusts. It was a bit of a crazy weekend in the Maritimes. Watching the trees sway and the branches fly was mesmerizing, like watching the flames of a campfire dance. It was otherworldly, beautiful and a little scary. But then the sun came out on Sunday afternoon. And all of the neighbours strolled onto our leaf and branch-strewn street. The chainsaws came out and the generators were put away. The raking began. Lots of enormous trees came down in my little neighbourhood but almost without fail all fell into the woods. Only one basement flooded. We were a lucky bunch.  After Saturday night’s picnic supper by candlelight and Sunday morning breakfast made on the floor, cooking at the stove feels like a treat. This isn’t a celebration recipe it’s just a tasty example of something you can make if you have a working stove. 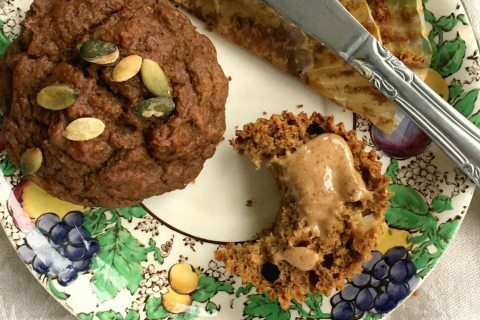 This is a no-fat muffin, sort of. Of course buttermilk has a little fat in it (albeit very little) and eggs have a bit of fat. 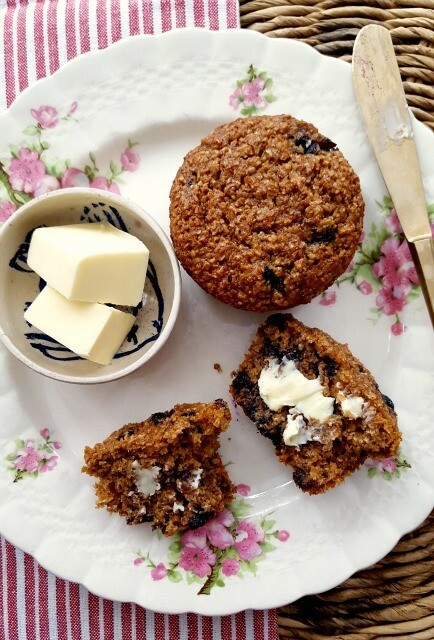 But as far as muffins go this recipe is great — no butter and no oil. 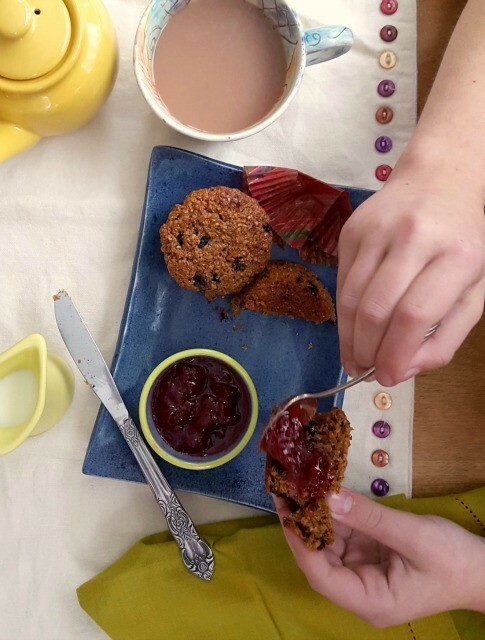 These healthy kitchen sink muffins aren’t lacking in flavour though. 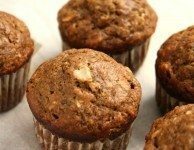 What with rolled oats, banana, flax, apple sauce, dried cranberries, walnuts and molasses, these muffins are extra flavourful and have great texture. Feel free to substitute sunflower seeds for the walnuts or chocolate chips for the dried cranberries, or throw them all in together. Preheat the oven to 350 F. Grease a 12-count muffin pan. 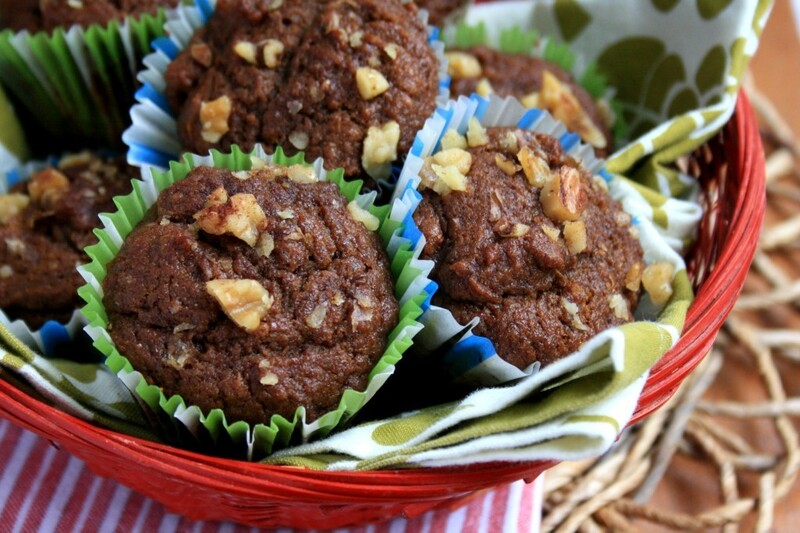 Not too sweet, these muffins have no refined sugar and just 1/3 cup of molasses. That’s it – the bananas take care of the rest. 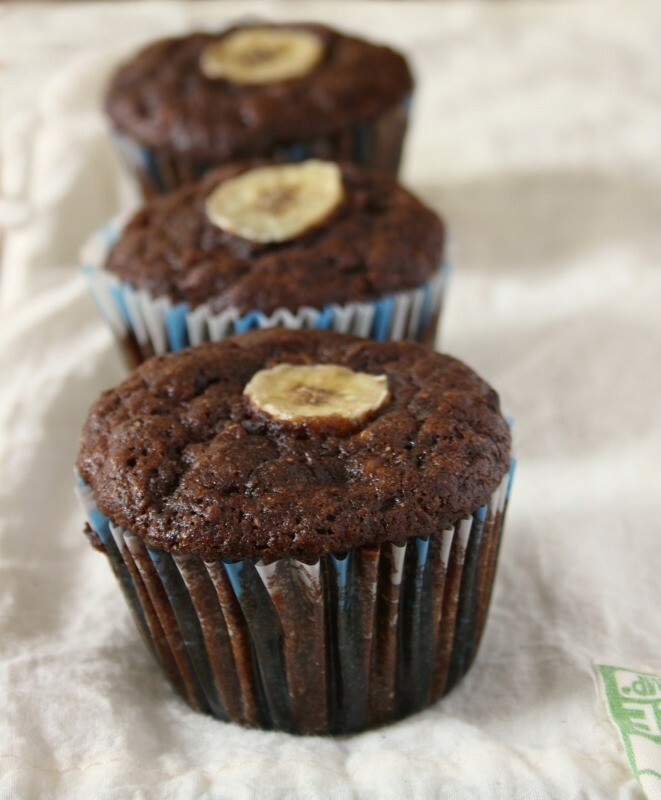 Bake double chocolate whole wheat banana muffins on weekend mornings for a sweet start to a leisurely day. I can hear the birds outside as I work and the morning light is best in our kitchen. This is how I spent the Monday morning of our lazy long weekend. It was drizzly and suddenly lush with the fleeting sun and heat of last Friday and Saturday. I set aside thoughts of weeding and gathered the mixing bowls to bake Double Chocolate Banana Muffins. It’s in one of her books at my bedside and I think of the poem often during the spring and summer, when the sky lights early and I wake effortlessly at dawn with barely a yawn and a stretch. It’s the most peaceful time to wake, especially on weekends…The kids don’t need to be woken and my husband sleeps just a little longer. In a large bowl whisk together dry ingredients. In a separate bowl, beat the eggs until light and frothy. Whisk in the milk, molasses, mashed banana, oil and vanilla. Gently stir the wet mixture into the dry, add the chocolate, and continue mixing until just combined. My son has hit the stage where he’s always hungry. He eats a good supper then before you know it he’s making peanut butter toast. Or I wake in the morning to see that he’s been eating hard boiled eggs as a bedtime snack. He writes grocery lists. My aunt Ann, the mother of seven boys, used to lock the baking supplies high in a kitchen cupboard, pocket the key and then flee to our house just as the afternoon school bell rang. She and mom would have a peaceful chat over coffee while some animated version of Lord of the Flies was raging on up the road in her kitchen. 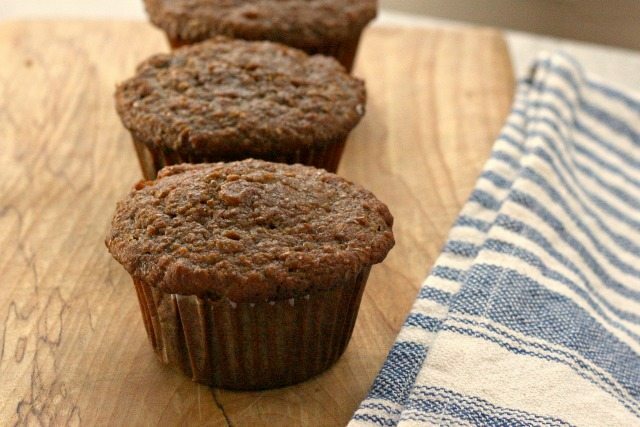 When my son makes his way through the back path and in the door after school these banana oat muffins with molasses are one treat that fills his belly. They’re a nutritious grab-and-go snack that’s wholesome and just sweet enough. 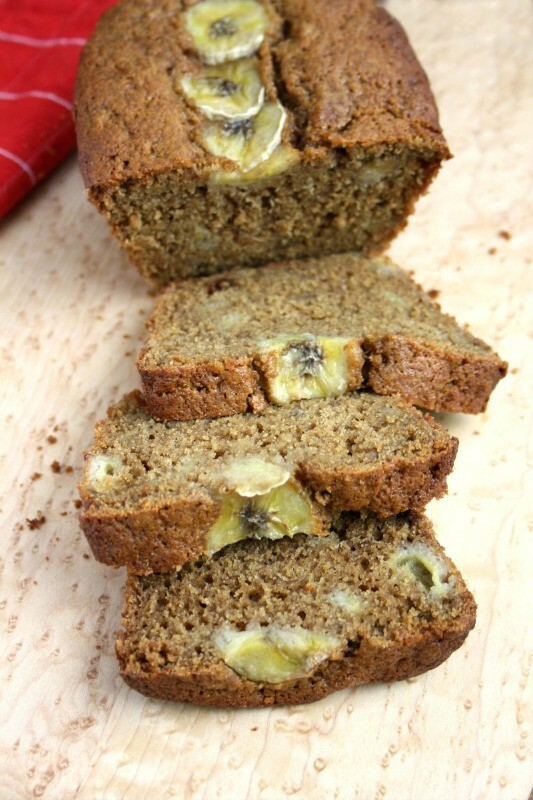 I freeze great bunches of over ripe bananas so I always have some on hand for baking. Just peel them first, and lay them on cookie sheets to freeze before packing them away (otherwise they’ll all stick together). Preheat oven to 350 F and prepare muffin tins. In a large bowl beat butter and sugar. Beat in eggs, one at a time. Add the bananas, molasses, yogurt, and vanilla and mix well. Sprinkle over the baking soda, salt, cinnamon and nutmeg and mix well. Add the flour 1/2 a cup at a time, mixing gently until just incorporated. Gently stir in the oats. Spoon into prepared tins and bake for 20-25 minutes, until set. Let cool 10 minutes before removing from pan. A delicious variation: Add 1/2 cup dried cranberries and one tsp. of orange zest to the batter. I read someplace that banana bread is one of the most popular recipes in North America. 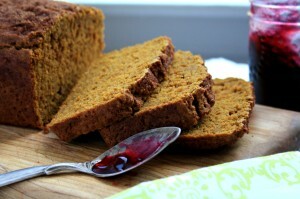 It’s one of those tea bread staples that never went out of fashion and somehow traveled from the bridge table to school lunches without skipping a beat. 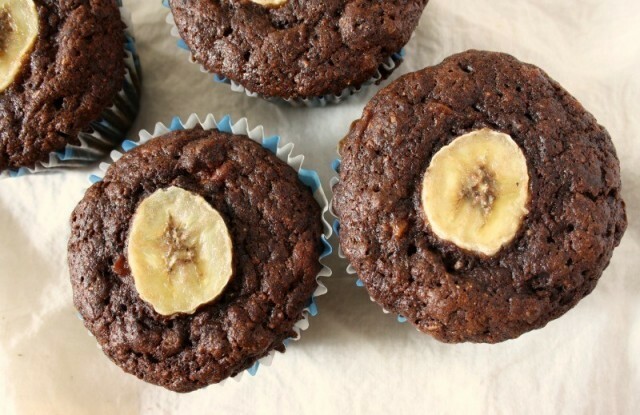 There must be a thousand variations of the classic banana bread out there, some with peanut butter others with butterscotch chips, there are chocolate versions. I’m sure they’re all good but my favourite is really just plain old banana bread, with a touch of spice. 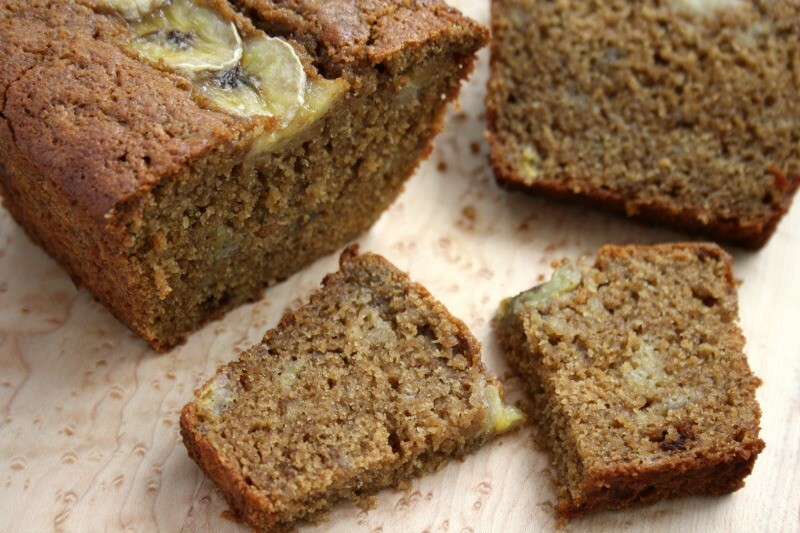 This is a gluten-free version of a classic banana bread. It has a lovely moist crumb and a subtle spice flavour. 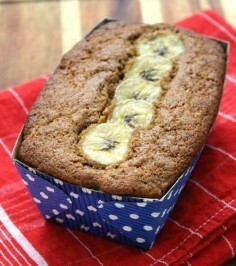 The molasses helps make it extra moist and adds a flavour that works beautifully with the banana. Use very ripe banana’s for an intense banana flavour. No one would even guess that it’s gluten free. If your banana’s aren’t ripen enough you can always ripen them in the oven. Here’s how. 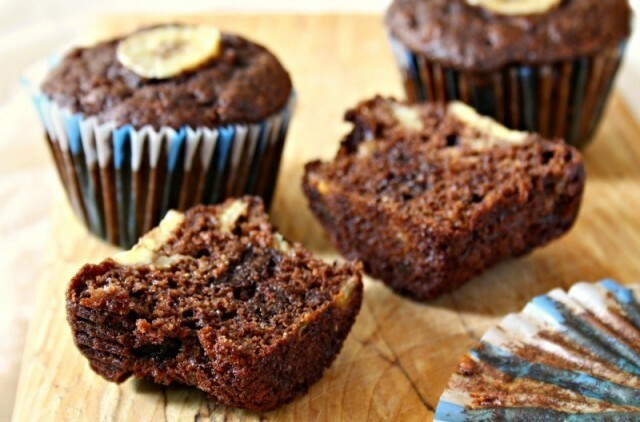 This recipe works well as mini muffins too. Adapted from Hun…What’s for dinner? Grease a large loaf pan or line it with parchment paper. (Or use three mini loaf pans). In a large bowl combine the melted butter with the sugar and stir well. Add the molasses and then the eggs, one at a time. Stir in the buttermilk, vanilla and then the mashed banana. In a separate bowl combine the flour blend, baking powder, baking soda, salt and spices. Add the dry ingredients to the wet ingredients and stir gently, just until combined. Take care not to over mix. Bake at 350 F for 50-60 minutes. Let cool in pan 10 minutes before upending on cooling rack. 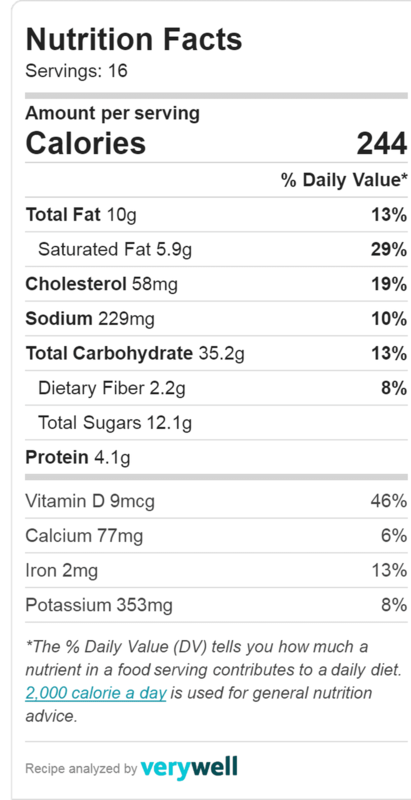 Nutritional info: Per 1” slice. 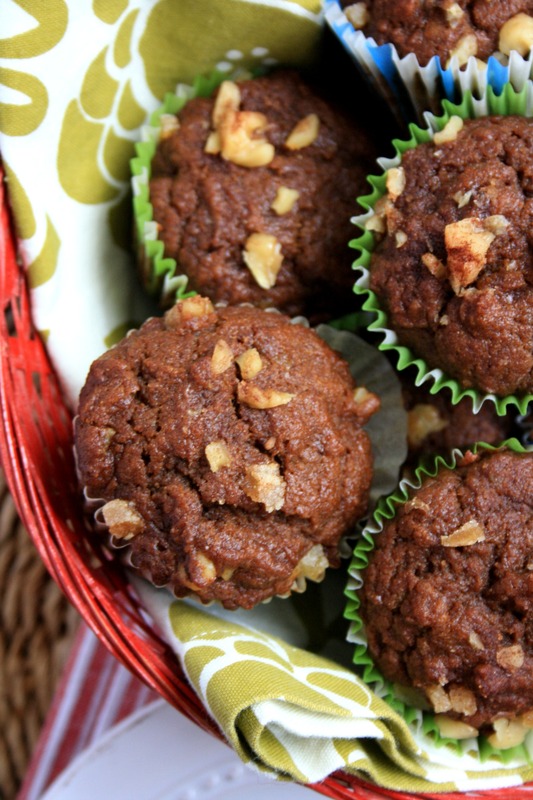 These carrot cake muffins are light and airy, made with three eggs and not much butter. They’re moist and just the right kind of sweet. 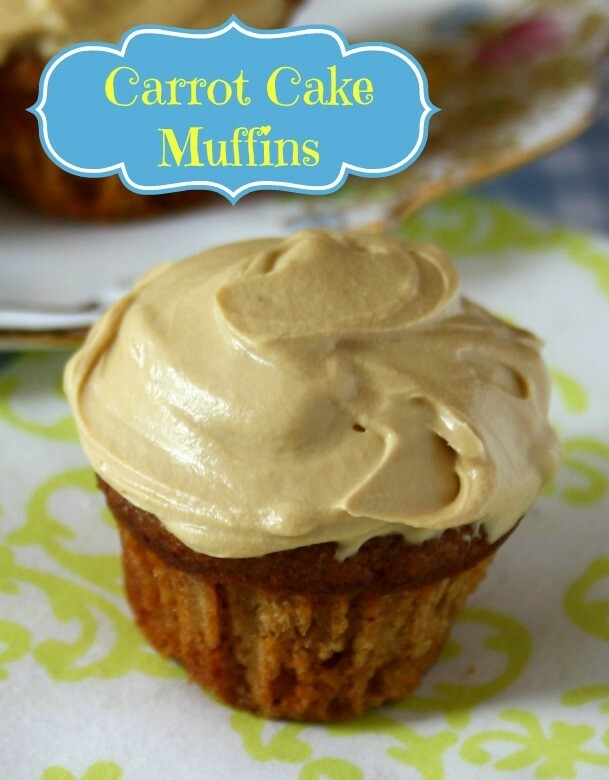 The molasses cream cheese frosting is a nice addition if you want to enjoy these as a treat. This has been the week of losing things, or forgetting things I suppose, which isn’t much different. Until you remember where you put your punch card or snow pants or retainer or Blue Tooth charger, all are as good as lost. It has hit my entire family like the flu. We have all misplaced everyday things so it has been a week of turning the house upside down in our search, and wondering things like “Do you suppose the dog ate Amelia’s retainer? But it has also been the week of waking in the middle of the night remembering that the missing plate is at my sister’s (from the night I ran over with a slice of Linzer torte) and the punch card is in the pouch of the knapsack that got put in the basement. Yesterday we had the greatest discovery of all… I found Amelia’s missing iPod at the end of the driveway. 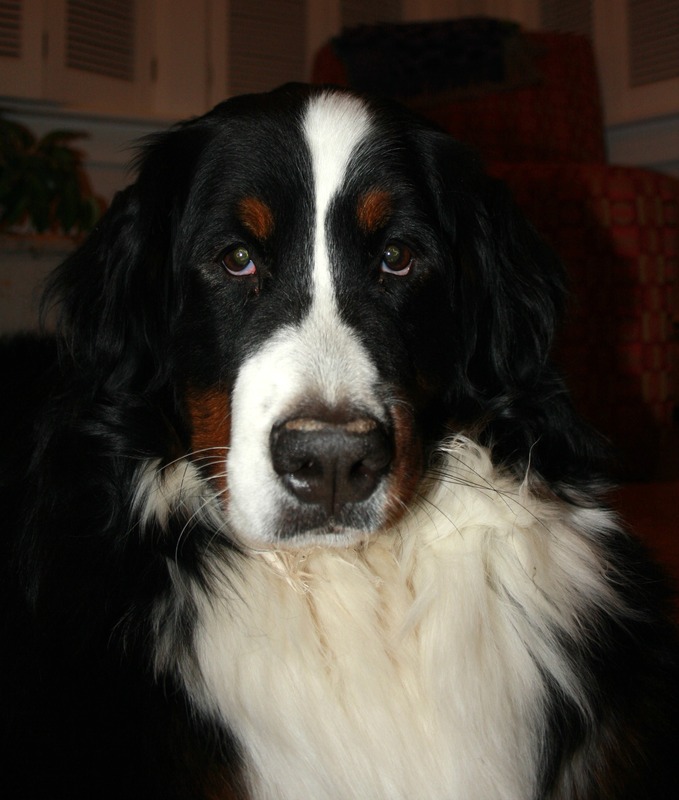 Lost December 21 it endured a major ice storm, a record-breaking cold snap and two torrential rain storms. We stuck it in a bag of rice for 24 hours to dry it out and voila, it works. Unbelievable. 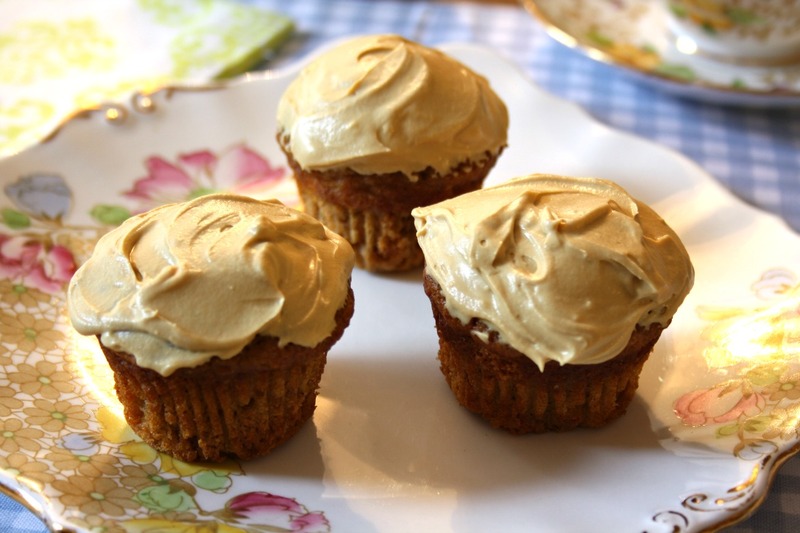 To celebrate I made a molasses cream cheese frosting for a yummy batch of carrot cake muffins, just to make them more of a treat. 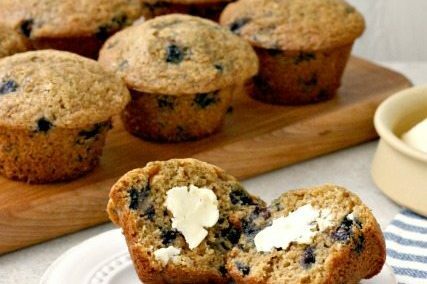 These are light and airy muffins, with three eggs and not much butter. 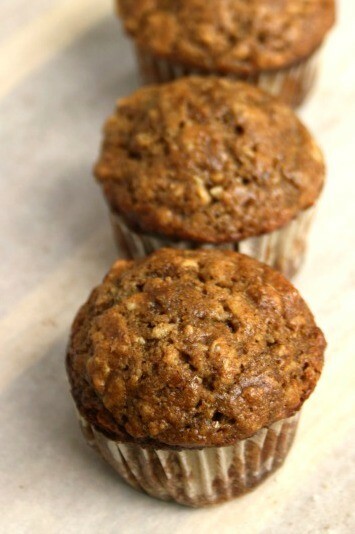 They’re moist but not wet like some carrot muffins can be and they’re not oily or interrupted by nuts. Preheat oven to 350° and prepare muffin pans. In a small pan melt butter, remove from heat and stir in molasses. In a medium bowl whisk together the eggs. 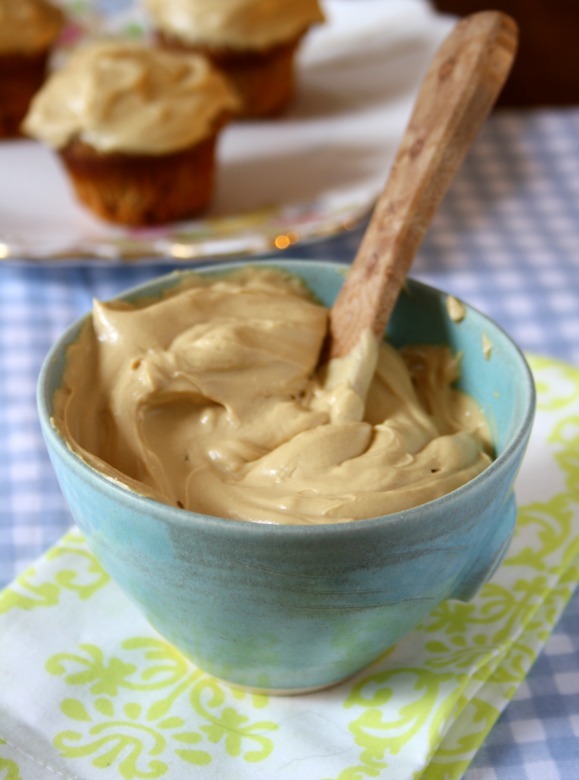 Whisk in the milk and yogurt then add the butter-molasses mixture along with the vanilla. In a large bowl combine flour, baking powder, baking soda, salt, sugar, cinnamon, and nutmeg. Carefully add the wet mixture, stirring until just combined. Stir in the grated carrots and mix until incorporated. Spoon into prepared pans and bake at 350° F for about 20 minutes. Up until yesterday I was not a cream cheese icing fan. I had always found it cloyingly sweet I suppose in part because it’s often piled a mile high on cake. But then I discovered this approach…no icing sugar. Sure it doesn’t make as much in a batch, but the silky texture and delightful flavour mean you don’t need a lot to satisfy. Beat together the butter and cream cheese until smooth. Beat in the molasses and vanilla. My kids have Halloween all mapped out. Literally. They have drawn a map of the route they want to take to ensure they are making the most efficient use of their time and effort. And they have started to lobby for their choice of candy they’d like us to give out this year…already planning for leftovers. We did our elaborate pumpkin carving last weekend, as part of our family’s Thanksgiving tradition, which means that a very simply carved pumpkin will suffice on Halloween night. All that’s left to plan are the costumes. When I was little we had a big tickle trunk full of old dress up clothes to choose from. On Halloween day we’d rummage through it to assemble a costume and away we’d go. One year I wore the hoop skirt from my mom’s wedding dress and tripped over the front hem the whole evening. Another time my costume included my grandfather’s tall leather Frontiersman boots, which were about five sizes too big. There was the year my dad helped me craft a cardboard box into a present with holes for my arms and a big bow on my head. The year I was a flower (I sewed big petals onto a bonnet) it snowed. 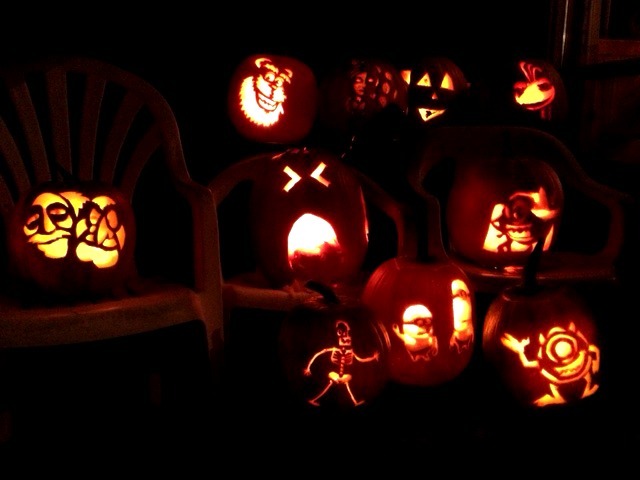 There is nothing like Halloween memories to keep me cooking with pumpkin. 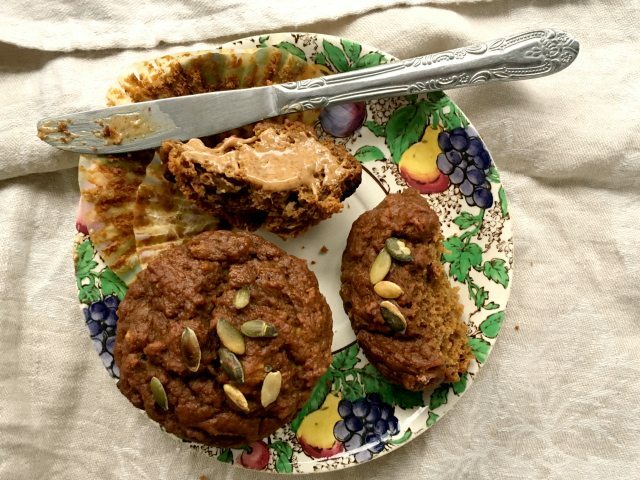 This latest recipe is a delicious adaptation of pumpkin spice muffins with walnuts from Daily Garnish. They’re beautifully spiced and have a luscious texture thanks to the pumpkin puree. 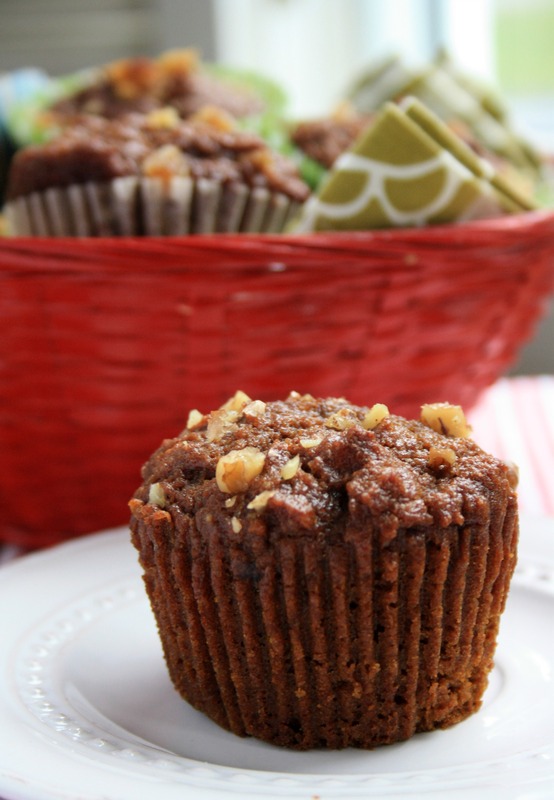 Lots of chopped walnuts and some candied ginger give them more of a grown-up taste and make them more interesting than your run-of-the-mill pumpkin muffin. In a large bowl combine the dry ingredients (including brown sugar). In a medium bowl whisk the eggs with the pumpkin mixture then add the oil, molasses and vanilla. Gently fold the wet ingredients into the dry and stir until almost combined. Gently fold the walnuts and ginger into the batter. Spoon batter into prepared muffin cups and bake for about 30 minutes (until a tester comes out clean). 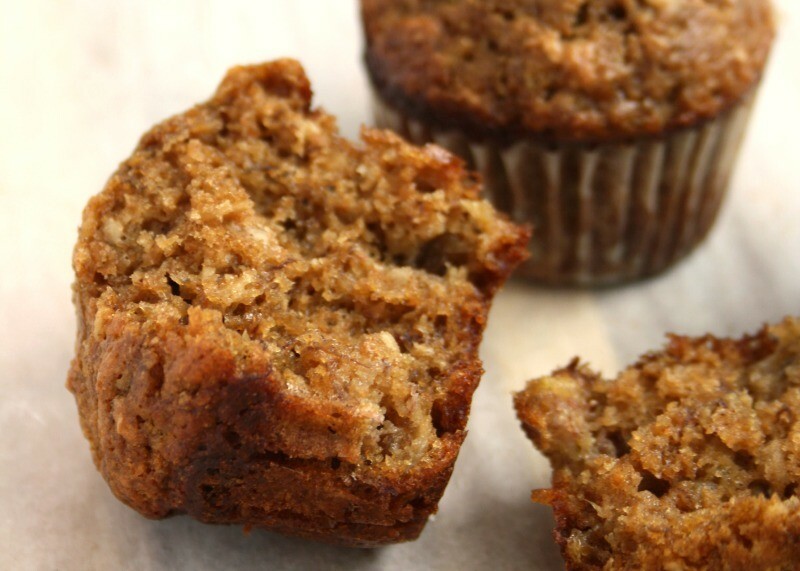 These ginger molasses muffins are really somewhere in between a muffin and a rich, dense piece of cake. They have a great spicy kick too. 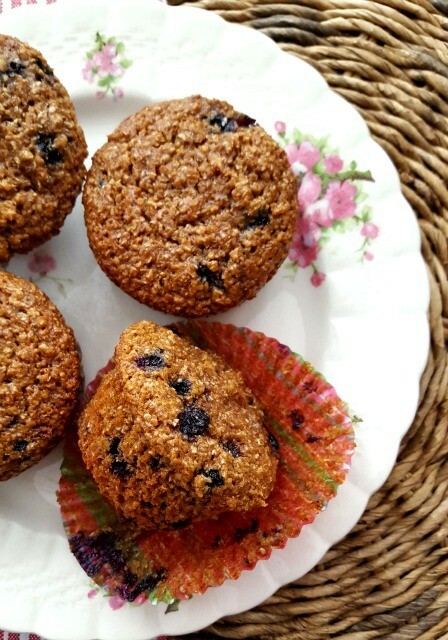 My sister Mary Jo has been making these blueberry wheat germ muffins for as long as I can remember. They’re a favourite of mine thanks to their lovely light texture and an almost nutty sweetness from the wheat germ. The wheat germ makes these extra healthy too. Just ask Dr. Oz. Wheat germ is packed with nutrients and unfortunately gets sifted out of regular white and unbleached white flour. Adding it to baked goods, or homemade molasses granola, is an easy way to work this great food into your diet. Of course you can make these blueberry wheat germ muffins even healthier by using stoneground flour. I use whole white flour (sometimes called white whole wheat). Another option is to use half all-purpose flour and half whole wheat or spelt flour in this recipe. 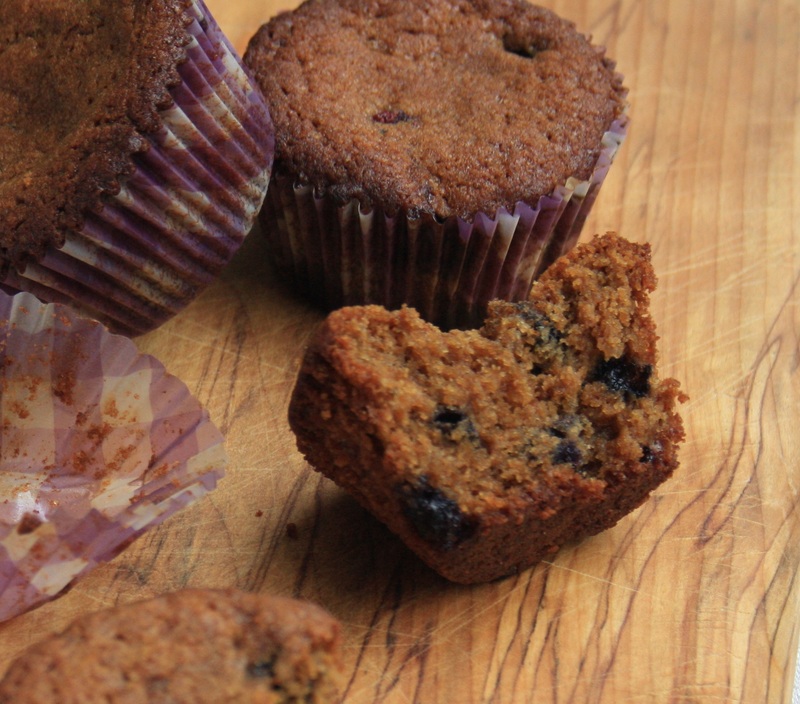 I consider muffins the perfect lunch box snack but my kids don’t always agree. 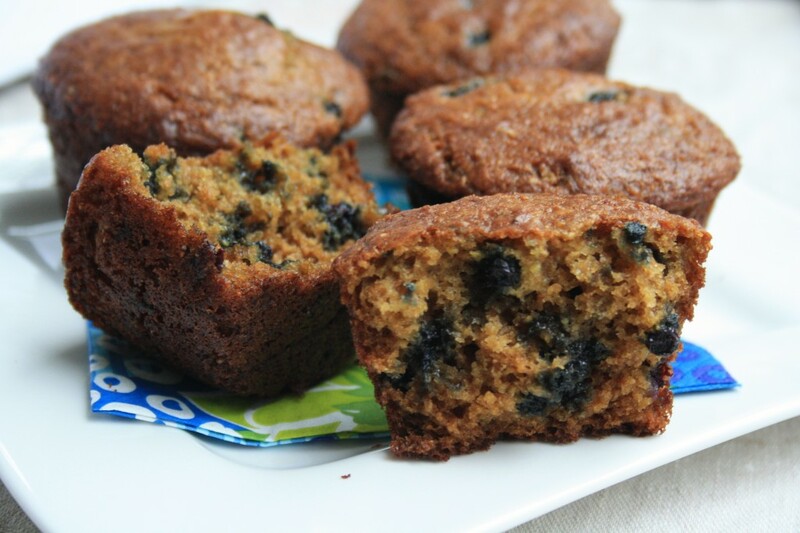 To get them eating these again I made a little modification to the original recipe…I added a touch of molasses and some blueberries. Occasionally I’ll add chocolate chips instead and if they’re a treat for me I’ll add candied ginger. In another bowl combine yogurt, eggs, oil and molasses. Pour wet mixture over the dry ingredients and mix gently, just until combined. Spoon into prepared muffin pans and bake at 350 F for 18-20 minutes.